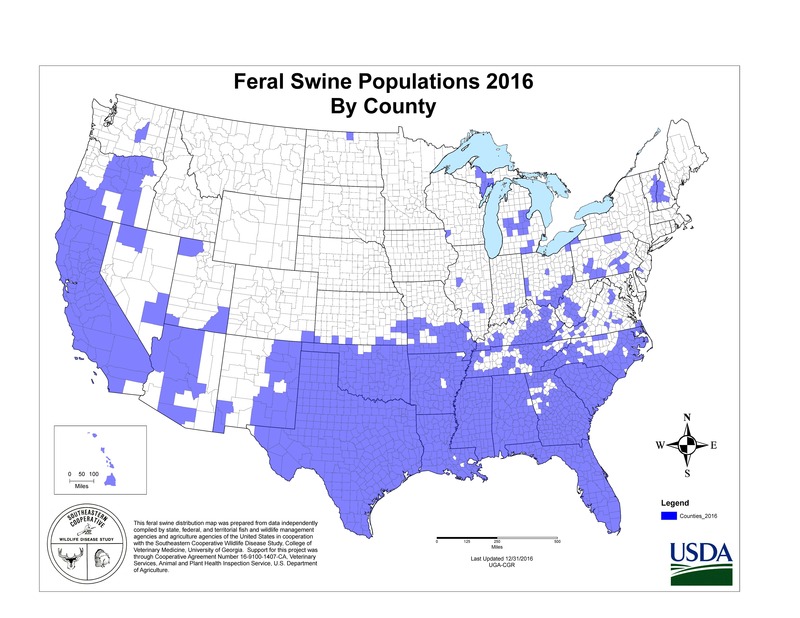 Feral swine are not native to the Americas. They were first brought to the United States in the 1500s by early explorers and settlers as a source of food. 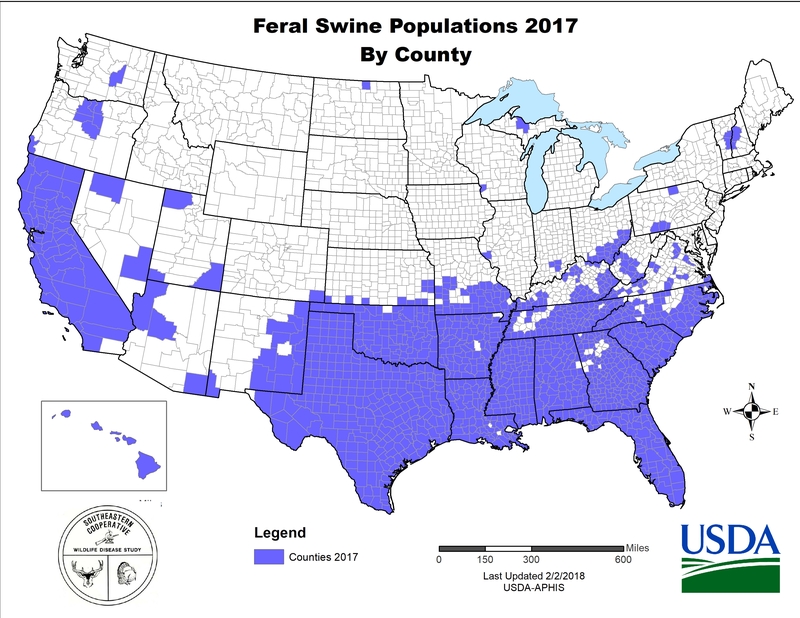 Free-range livestock management practices and escapes from enclosures led to the first establishment of feral swine populations within the United States. 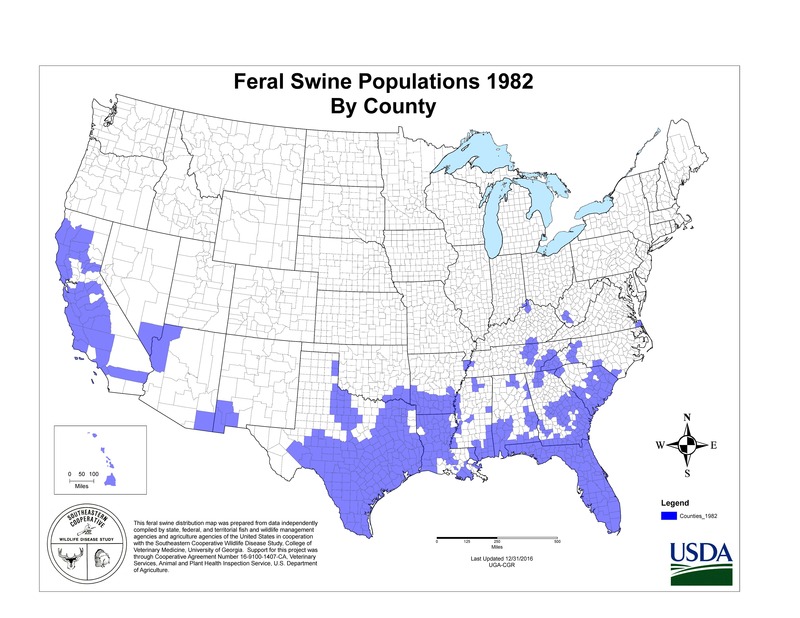 In the 1900s, the Eurasian or Russian wild boar was introduced into parts of the United States for the purpose of sport hunting. 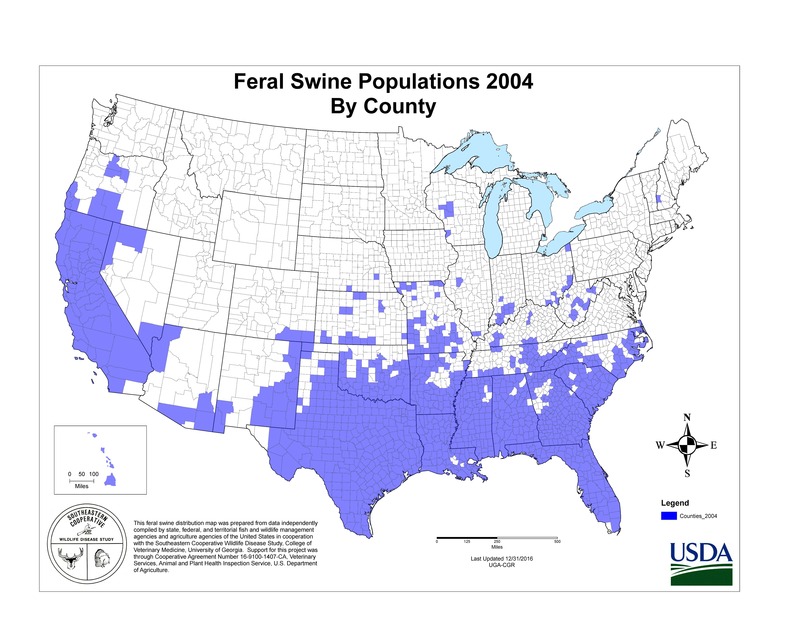 Today, feral swine are a combination of escaped domestic pigs, Eurasian wild boars, and hybrids of the two. 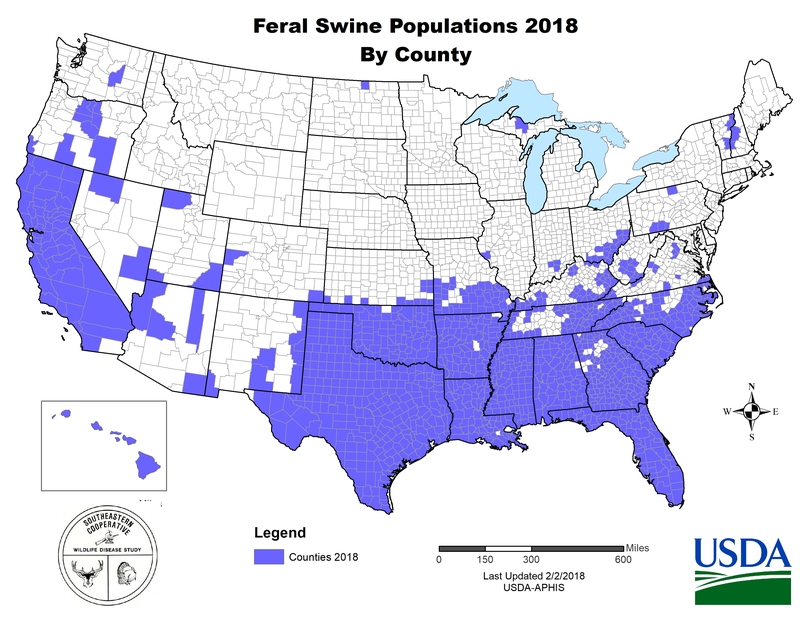 Feral swine have been reported in at least 35 states. Their population is estimated at over 6 million and is rapidly expanding. Range expansion over the last few decades is due to a variety of factors including their adaptability to a variety of climates and conditions, translocation by humans, and a lack of natural predators.